The Avengers: Endgame official synopsis has been released. There's going to be a lot on the line as the remaining crew go up against Thanos to reverse the Decimation. We've known forever that this is going to happen, but it still remains a mystery as to how it will all unfold. The Quantum Realm and time travel are the big components, but it is unclear how they will be utilized when the movie hits the big screen at the end of April . Infinity War left everything off on a pretty dark note and the latest trailer for Avengers: Endgame showed just how grim life in New York City has become. We know that the crew is going to spring into action, but we have only seen a tease of the reassembled remaining heroes preparing for action, thanks to the new trailer. Thankfully, the official synopsis reveals a bit more and you can read it below. The choice of the word "consequences" in the Avengers: Endgame synopsis will undoubtedly lead many Marvel Cinematic Universe fans to think about death. It has been heavily rumored since before Infinity War came out that we will see the deaths of Tony Stark and Steve Rogers before Phase 3 of the MCU is complete. 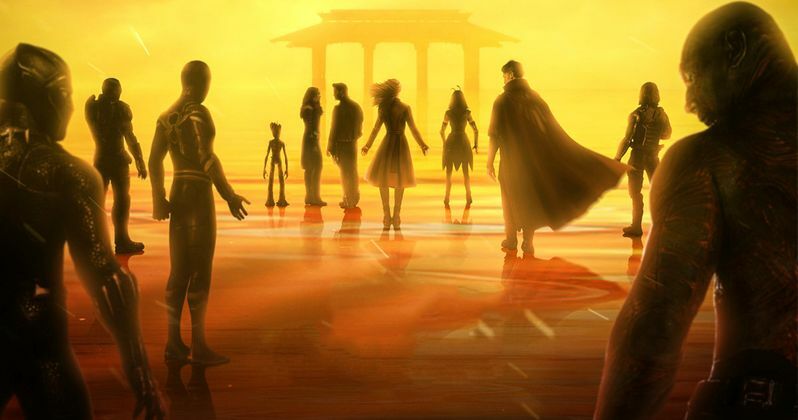 With Endgame being the final movie in Phase 3, it looks like those consequences could point towards two major, if not more deaths, when trying to save the universe. Obviously, Marvel Studios is doing an amazing job keeping everything under wraps, so there isn't much about Avengers: Endgame that has been officially confirmed at this time, other than the fact that they will be trying to reverse the Decimation. To some effect, we know that they will at least partially succeed since we have Spider-Man: Far From Home and Black Panther 2 on the way. But it's still unclear how exactly it will all go down and who will make it back from the Decimation when all is said and done. Avengers: Endgame hits theaters on April 26th, which is 78 days away from this writing. The movie was originally going to hit theaters in May, but Marvel Studios decided to push the release date up a week, which was not a surprise for many fans, though it is very welcome. Now that we have Captain Marvel on the horizon, news should be pretty quiet about Endgame until the Carol Danvers standalone movie has completed its promotional tour. The official Avengers: Endgame synopsis comes to us from the Australian Disney website.